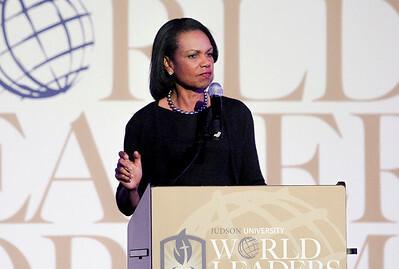 Sarah Nader- snader@shawmedia.com Dr. Condoleezza Rice was the keynote speaker during the fourth annual Worlds Leaders Forum at Judson University in Elgin Wednesday, March 19, 2014. 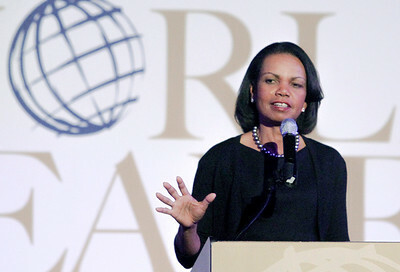 Dr. Rice spoke about "The United States in a Changing World," followed by a Q&A session at the event. 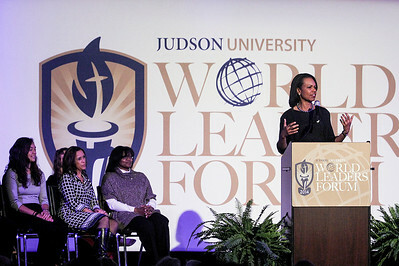 Dr. Condoleezza Rice was the keynote speaker during the fourth annual Worlds Leaders Forum at Judson University in Elgin Wednesday, March 19, 2014. Dr. Rice spoke about "The United States in a Changing World," followed by a Q&A session at the event.